Two single-owner collections of Martinware – each exceptional in their own way – will appear for sale on either side of the Atlantic this autumn. Phillips have chosen New York to sell a UK collection of figural groups assembled over 21 years since the early 1990s. 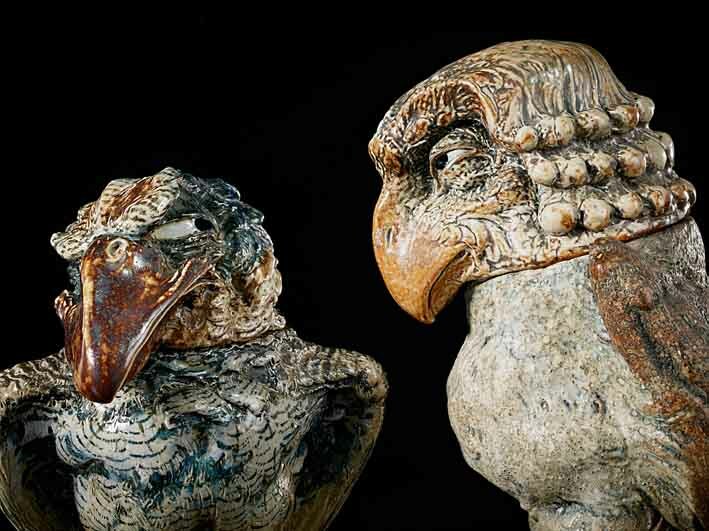 The 23 pieces (19 wally bird jars and four grotesques) comprise items with provenances to previous major sales and exhibitions. These include the 1978 Richard Dennis show at Sotheby's Belgravia, Boobies, Boojums & Snarks at the Jordan-Volpe Gallery (1982), The Martin Brothers at Gallery 532 (1995) and the Harriman-Judd collection sold at Sotheby's New York in 2001. Alexander Payne, director of design at Phillips, told ATG the decision to sell in New York was part of an effort to broaden and internationalise the market. He promised an exhaustive catalogue revealing the fruits of research into the early history of some of the pieces and an essay placing the Martin brothers, and Robert Wallace Martin in particular, in the context of Victorian sculpture. Alongside a jar modelled as a caricature of Victorian Prime Minister, Benjamin Disraeli (last seen at Phillips in 1996 and now estimated at $80,000-120,000), Payne is hoping to identify through archives of Victorian prints the human inspiration behind the distinctive avian faces of other jars in the collection. A triple bird group of 1908 last sold at Christie's in New York in 1994 has been identified as the same piece sold by Sotheby's in 1935 as part of the collection of Charles Martin. The catalogue description back then described "a fine group of three birds, all joined together with moveable heads, brilliantly modelled to get the maximum humorous effect, the centre bird with wing extended drawing the other two in to hear a good story". The works, with a combined estimate of around $1m, will be on view in London from October 30 to November 3 at Phillips' HQ in Berkeley Square before they are sold in New York on December 16. Just as remarkable is the collection of 65 Martin miniature gourds that will appear at auction for the first time at Woolley & Wallis on November 25. These have come from a descendant of Sydney Greenslade (1867-1955), the architect and critic who was among the brothers' greatest patrons. It was Greenslade who took Edwin, Walter and Charles Martin to the 1900 Paris Exhibition. Most of his collection was dispersed shortly after his death (the Plymouth City Museum and Art Gallery acquired many pieces in 1965) but this array of miniatures (most of them thrown by Edwin and Walter Martin) descended in his family. Specialist Michael Jeffery was sent a digital image of the collection nestling together in a bed cover. Estimates will run from £200-1000. 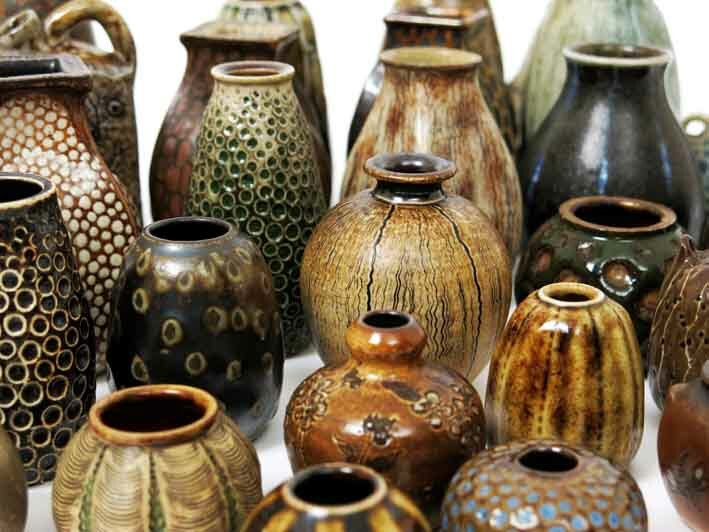 Martinware remains the strong suit of the Victorian art pottery market. Woolley & Wallis posted a record £75,000 for a bird in June 2014.